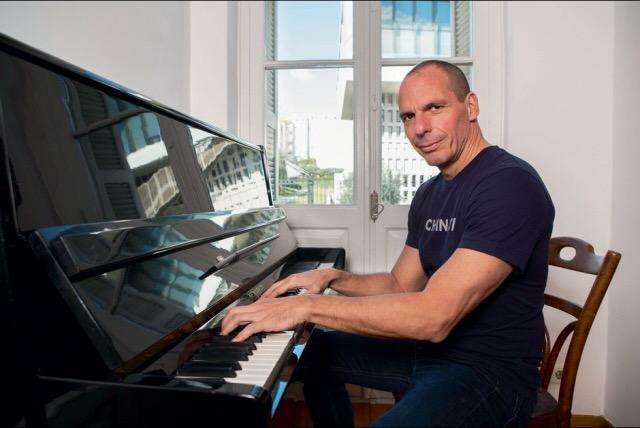 Yanis Varoufakis, the former minister of finance for Greece, is many things — a bad-to-the-bone EU wrecking ball, a dab hand on the keys, an econ wonk, a Question Time meme and a friend to current Labour leader, Jeremy Corbyn. What he is not, it turns out, is an expert on technology businesses. Increasingly people recognise, even those who are not Marxists, that capital is being produced collectively. I always give the example of Google: the large majority of Google’s capital is produced by users — every time you search you are adding to the capital stock of Google. Nevertheless, the profits are then privatised by the shareholders, while you get nothing back . . . Every time capital is being raised on the stock exchange, a percentage of the shares should go into a public wealth fund. The idea of a public wealth fund which pays dividends to citizens is not what we’re taking issue with (for anyone interested, do read Steve Waldman’s superb blog post on the subject). But rather the notion Google’s shareholders accumulate a user’s “capital” and in return the user gets “nothing back”. In short, it is nonsense. In return for using Google, a Google users gets . . . drum roll . . . access to the most popular search engine on the internet. Fully 78 per cent of all internet users defer to it according to Net Market Share, and that’s including China where it’s currently banned (although not for long, it seems). Indeed, the European Commission found it commanded a 90 per cent plus market share across the continent between 2009 and 2017. This is the “capital” accumulation Varoufakis speaks of — the searches continually re-enforcing the quality of the search. But that also means Google has the best search engine, and you can use it for “free” to explore perhaps the most important invention of the last fifty years, the internet. Oh, and you can also access Google Maps, Gmail, Google Drive and YouTube while you’re at it. So we do get something in return. Perhaps a better question would be, do the services provided represent a fair exchange for our personal data? Economists like to refer to the gap between what a consumer pays and what they would pay for a product as “consumer surplus”. For example, it’s a hot day and you’re desperate for a cold bottle of water. You might be willing to pay £2 for an icy beverage; fortunately its 70p at the corner shop. Congratulations, you just received £1.30 of “consumer surplus” for free. Isn’t capitalism magical? While an admittedly amorphous microeconomic concept, in a world of prices, products and consumer surveys it is perhaps straightforward to calculate consumer surplus, even if it fails to capture factors such as spending power and product availability. However when the medium of exchange is our digital selves, it is hard to get a handle on the value of what we’re giving away, relative to what we get in return. 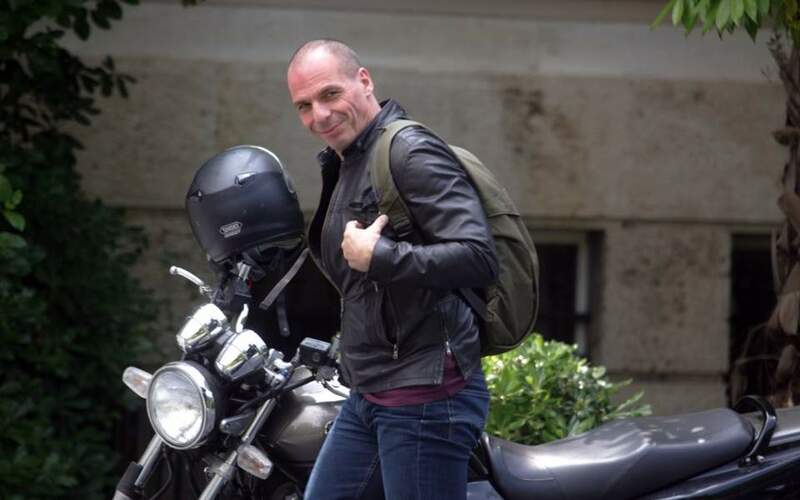 The assumption behind Varoufakis’ comment seems to be that our digital shadows are worth quite a lot. He would not be alone in making that assumption. The Telegraph reported in 2015 that consumers reckon their internet footprints to be worth in excess of £3k. Not an unfair assessment, particularly when you frequently hear stories of Google and Facebook harvesting billions of dollars of revenues off the back of our personal data. But by our reckoning such estimations of self-value seem to be a off by an order of magnitude or two. Take Facebook for example. Last year, it made $40bn in revenue from advertising. But an awful lot of people submit to its online surveillance. With 2.13bn monthly average users, the value extracted per head, per year only comes out at $19. Google is no different. Let’s go with the 78 per cent market share stat above, and apply it to the internet’s 4.2bn users, according to World Internet Stats. So that’s 3.3bn people using Search. Google made $67bn from advertising in 2017. So that’s $20 per person. In other words, for the two companies who accounted for 59 per cent of digital advertising revenue last year, a user is only worth a $39, on average. In an environment where people pay $156 a year for using Spotify, allowing both Facebook and Google to extract $39 of advertising value in return for myriad services seems pretty fair. Sure, for richer countries and demographics, this figure will undoubtedly be a lot higher, but even if we multiply this by ten to reflect, say, the spending power of an American consumer, $390 is arguably still low. The issue, it seems, isn’t so much the implicit, if unacknowledged, bargain in exchanging ourselves for services, but the questionable behaviour of our tech overlords, particularly in the realm of privacy. As well as the dollar value of our information, it is still hard to know exactly what it is we give away about ourselves. Consumers still seem pretty sanguine about handing over details of their personal lives to a set of companies, despite scandals such as Cambridge Analytica’s harvesting of Facebook user data. Perhaps more shocks, such as alleged manipulation of social media ahead of elections, will prompt more people to question whether their data should be valued more highly, or what the the cost is to society when it is freely scraped and sold. A price, we imagine, most would set far higher than $39. Previous articleDow Jones Futures Fall As China Trade War Escalates; Can Apple, Amazon, Facebook Rebound?